Here are some of my favorite photos of 2010! (Some are redundant from other pages, and others appear here only.) These are displayed with the newest on top. 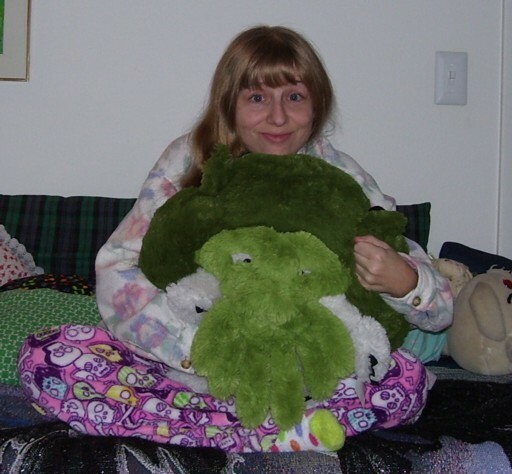 2010giftsjessica.jpg: Me with the present Jessica got me: A giant stuffed Cthulhu. 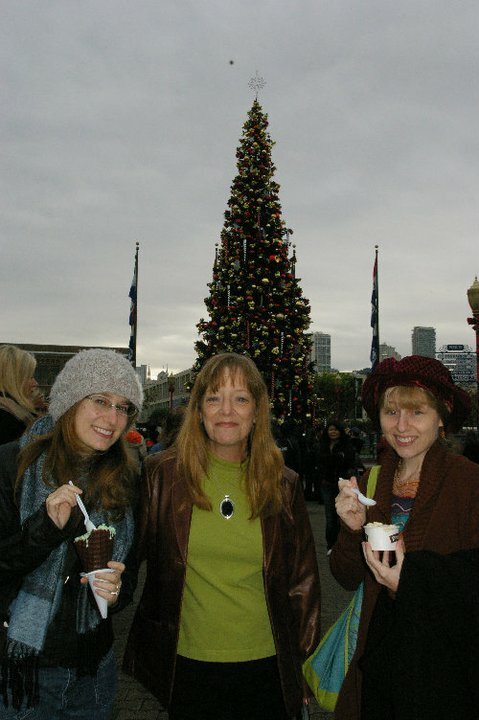 December 31, 2010.
icecreamtree.jpg: My mom and my sister and me having ice cream in front of a big public Christmas tree in San Francisco. 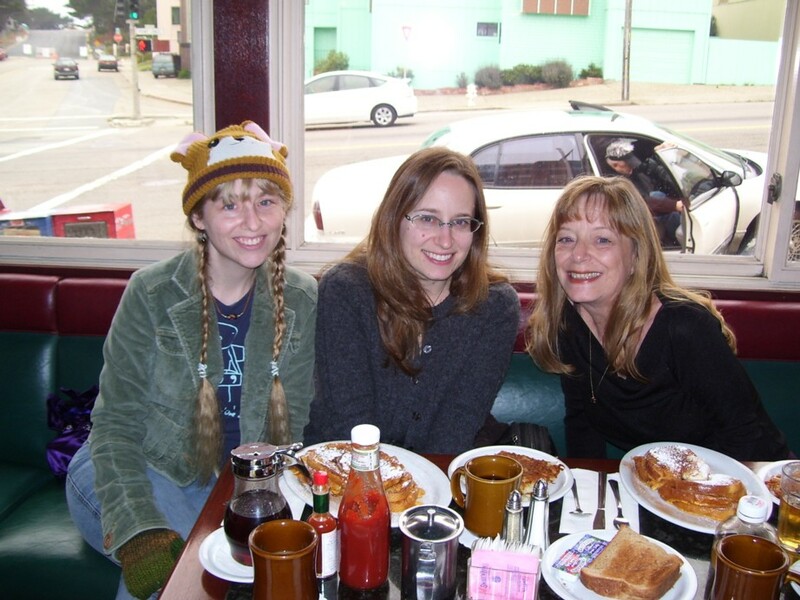 December 4, 2010.
breakfast3.jpg: My mom and my sister and me having breakfast in San Francisco. 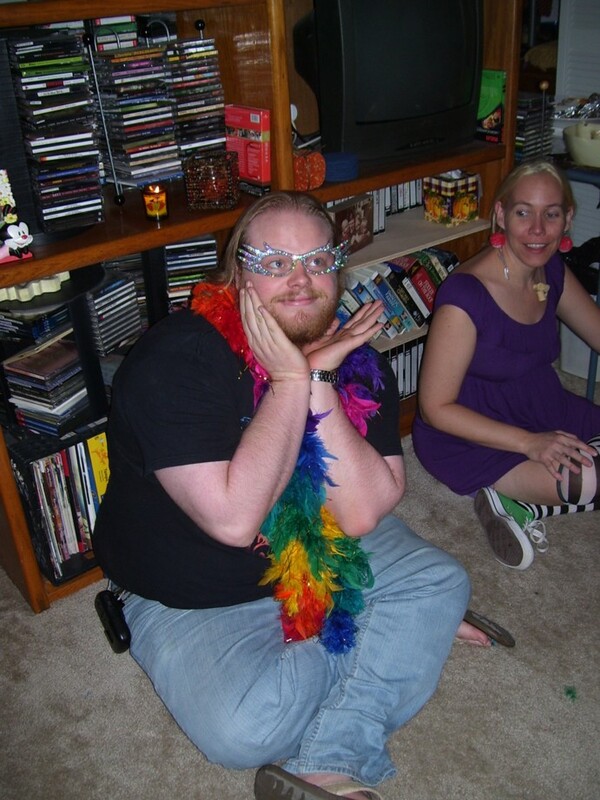 December 2, 2010.
beautifuleric.jpg: Eric as a costume accessory thief on Halloween. 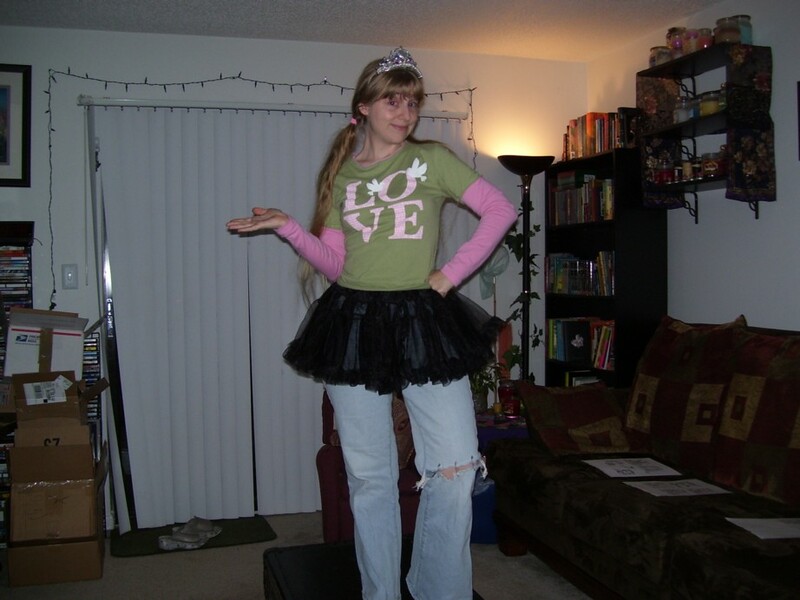 October 31, 2010.
mommygypsy.jpg: Mommy as a gypsy on Halloween. 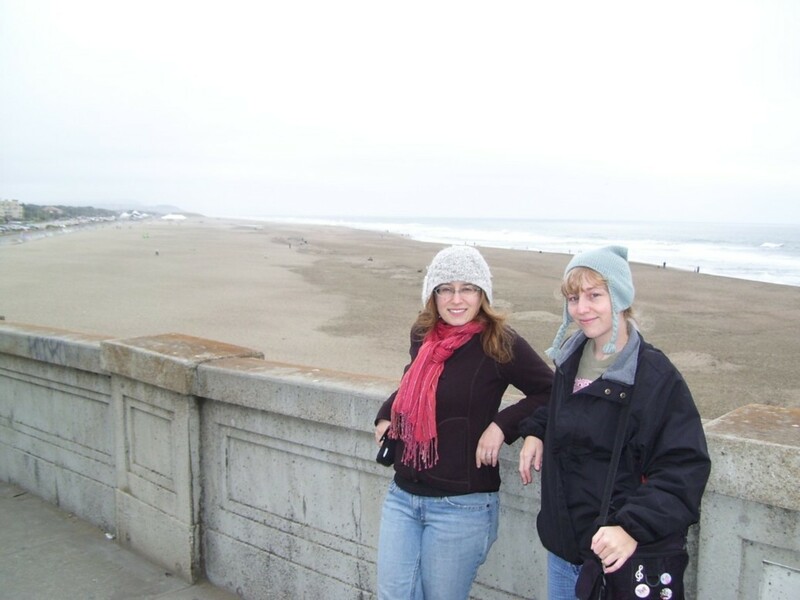 October 31, 2010.
peejaybeach.jpg: Hanging out with my sister by a beach in San Francisco. 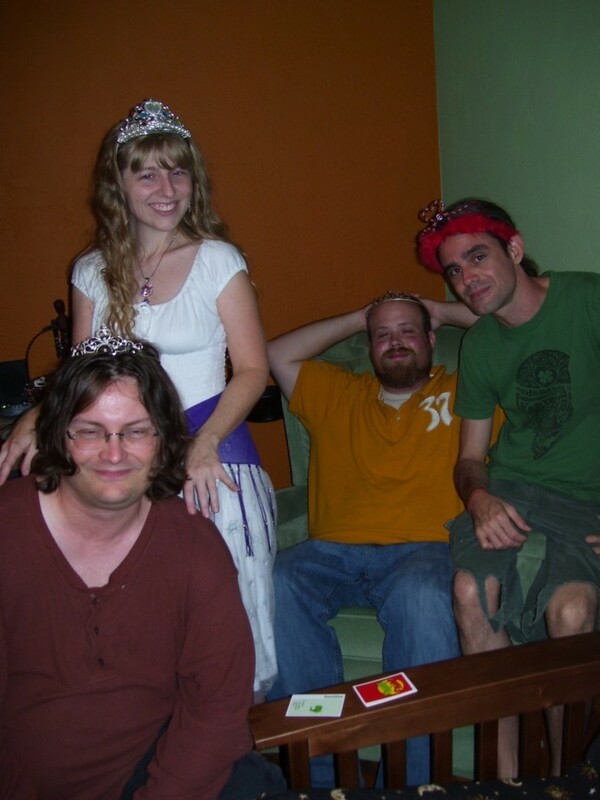 October 16, 2010.
tiarakids2.jpg: Mandy's musical theatre party: me, Gary, Doug, and Aaron. 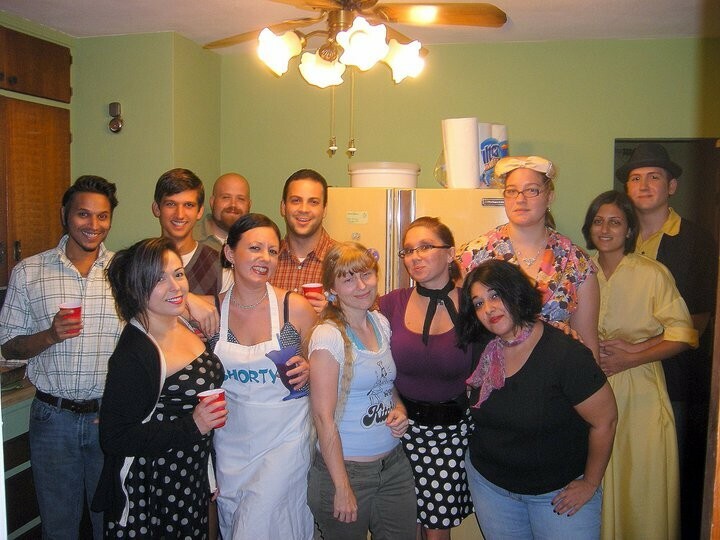 October 2, 2010.
kitchenshot4.jpg: Mandy's housewarming party guests. August 28, 2010.
spankings3.jpg: Mandy is spanking Amanda with a frying pan. 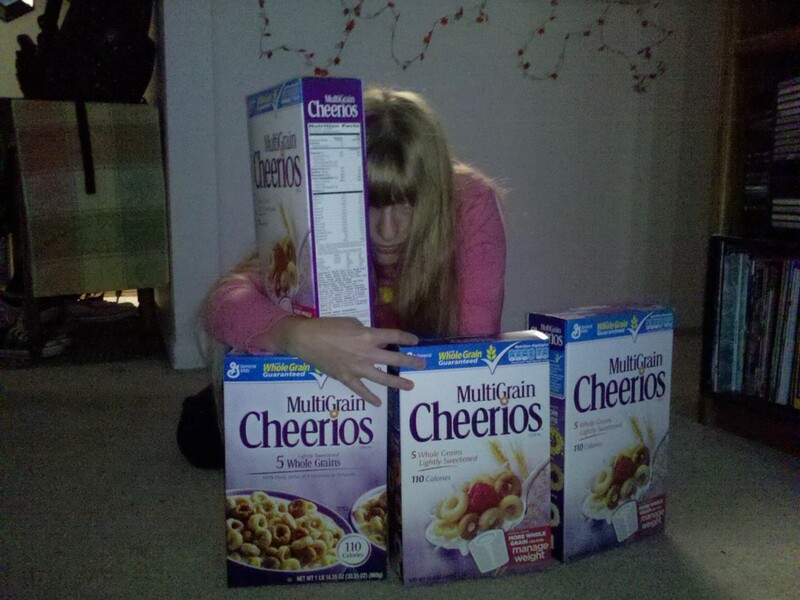 August 28, 2010.
manycereal7.jpg: I have a lot of Cheerios. 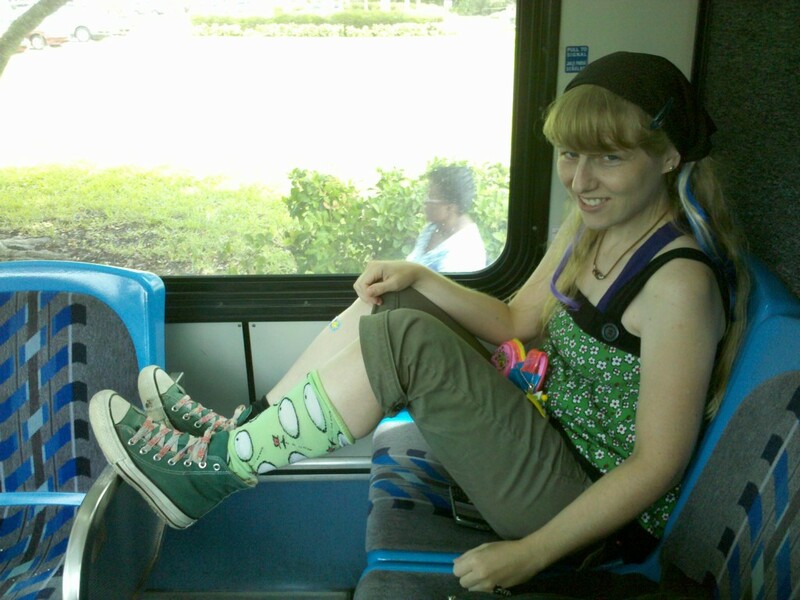 August 15, 2010.
bustrip4.jpg: Riding on the bus, going to a mall in Bradenton. 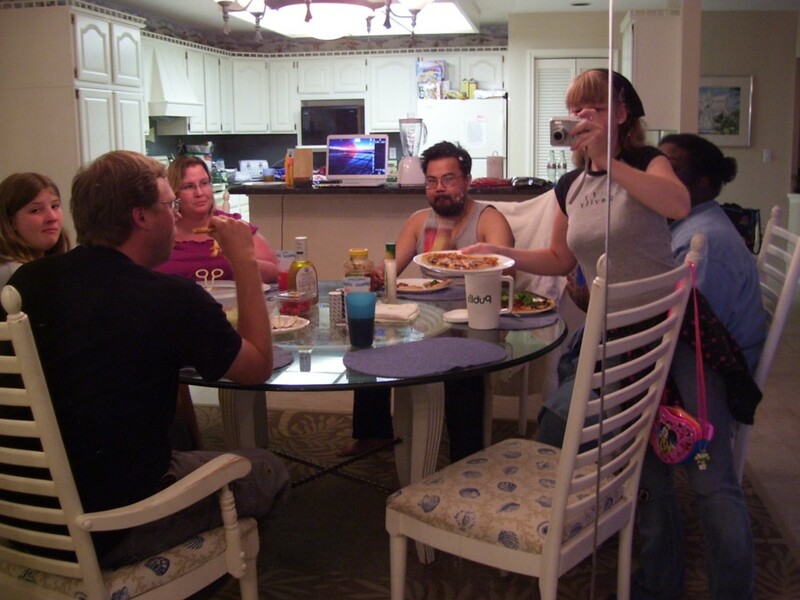 August 10, 2010.
pizzafriends2.jpg: I made homemade pizza and served it to friends. 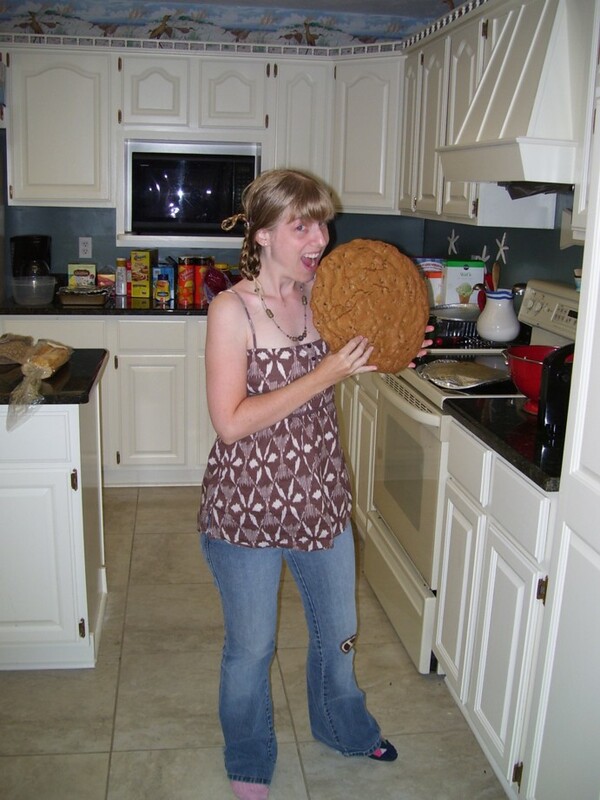 August 10, 2010.
bigcookie.jpg: I baked a gigantic chocolate chip cookie. 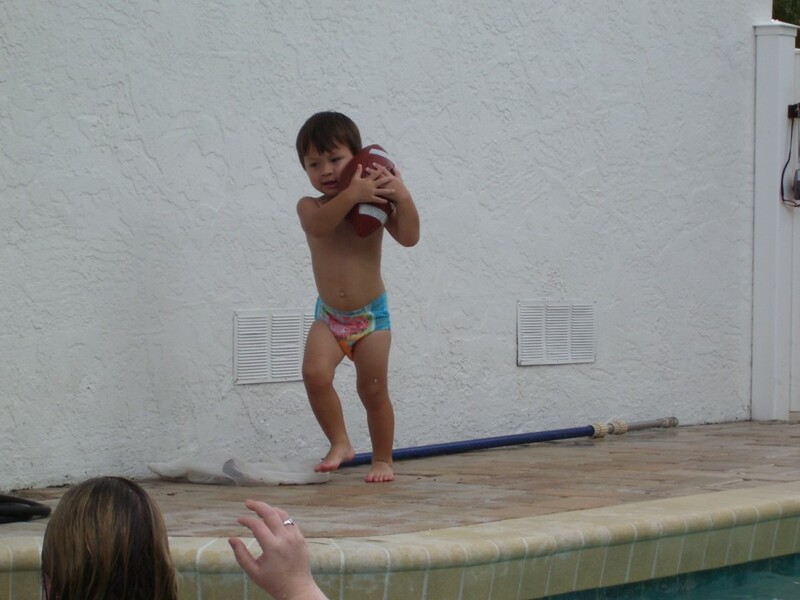 August 9, 2010.
benfootball2.jpg: Cutie Benjamin trying to handle a wet football. August 8, 2010.
oceanbikini1.jpg: Trying out my new bathing suit in the ocean. 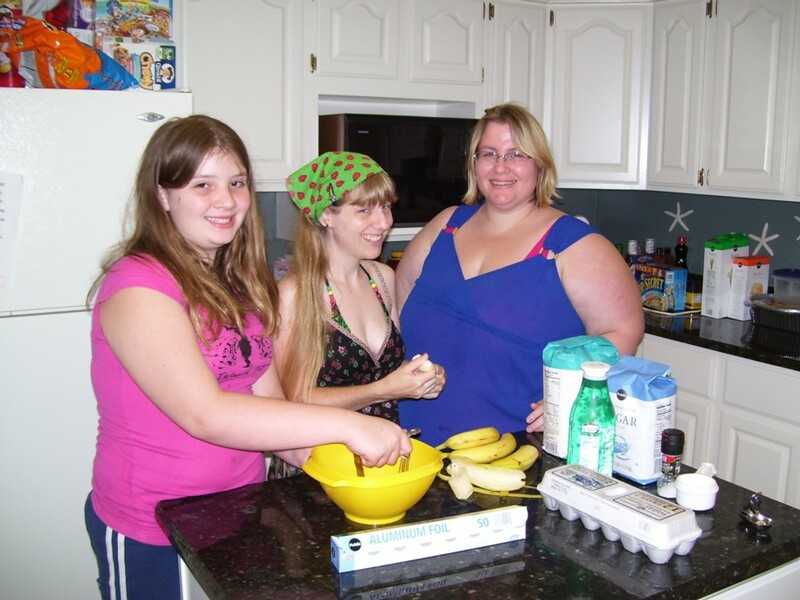 August 8, 2010.
bakinggirls.jpg: Three baking ladies: me with Katelyn and Meghan. 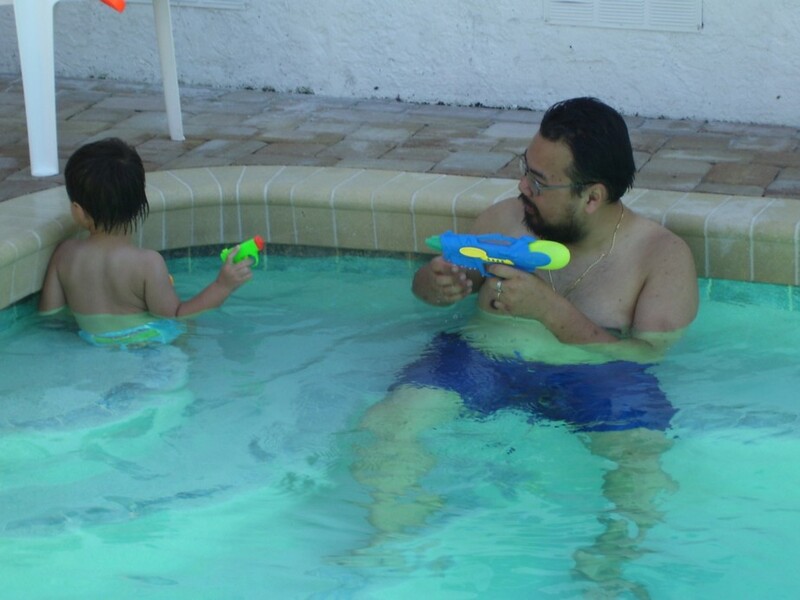 August 6, 2010.
waterguns2.jpg: Ben and his daddy Brendon are trying to shoot each other with water guns. 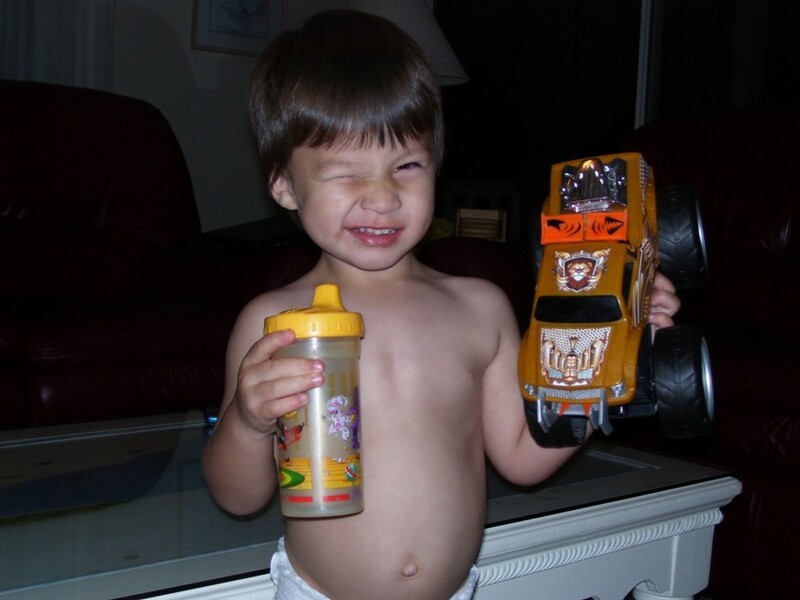 August 6, 2010.
benwinks.jpg: Little Benjamin, with his chocolate milk and his truck, winking. 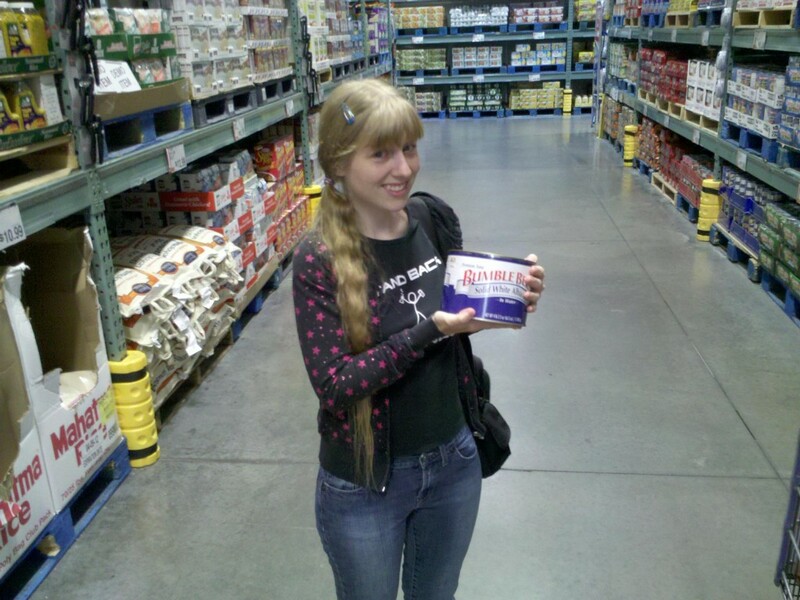 August 5, 2010.
gianttuna.jpg: Shopping in BJ's, I found a really big tuna can. 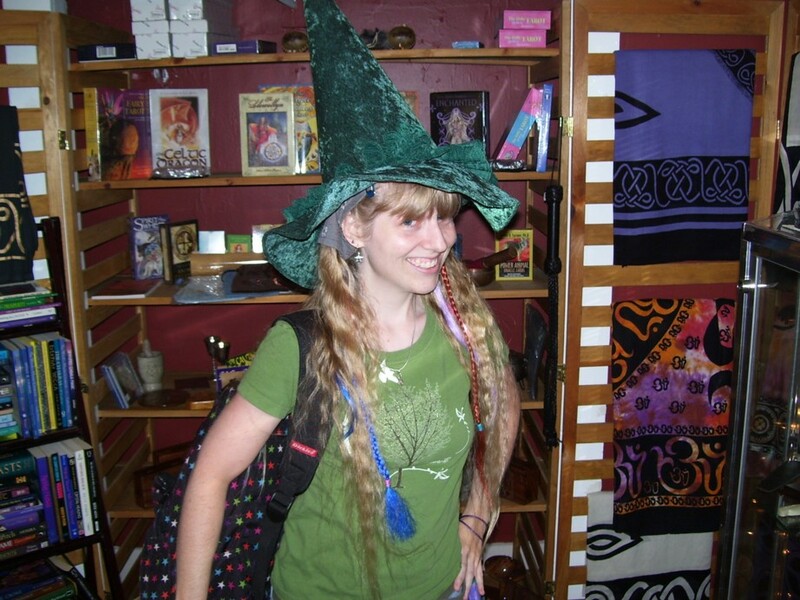 August 5, 2010.
greenwitch1.jpg: Me with a cool hat on. July 16, 2010. 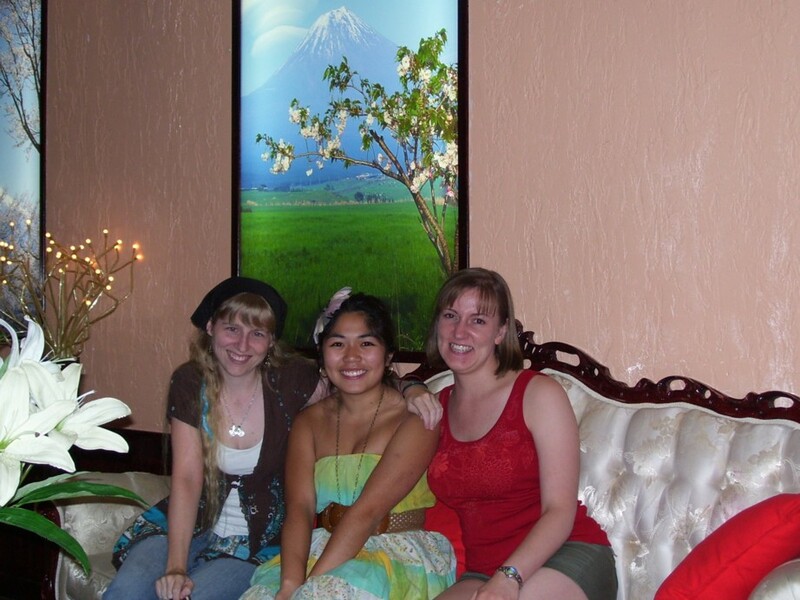 3girlsrestaurant2.jpg: Jessie, Cara, and me at an Asian fusion restaurant where we'd just eaten. 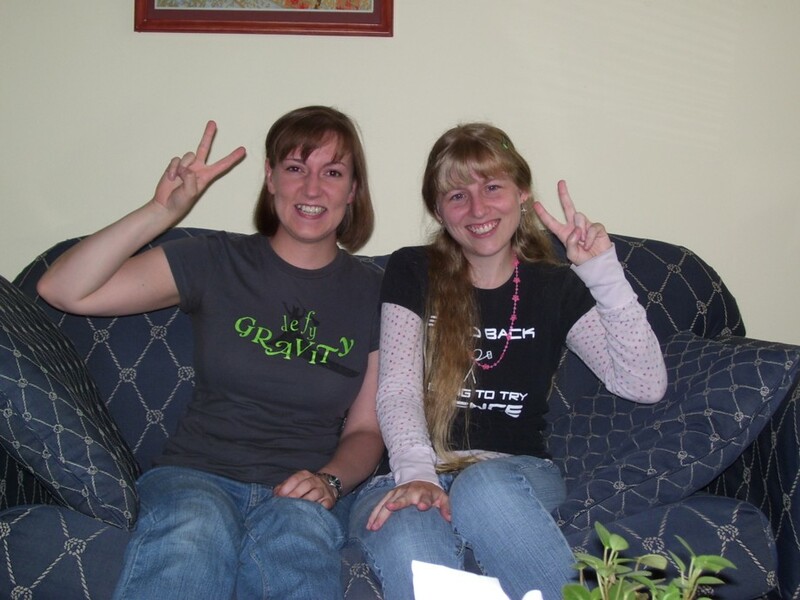 June 5, 2010.
ivyjessiecouch2.jpg: Me with Jessie in her Ann Arbor apartment. June 4, 2010.
momandpork.jpg: My mom with Lindsay's doggie, Pork Chop. 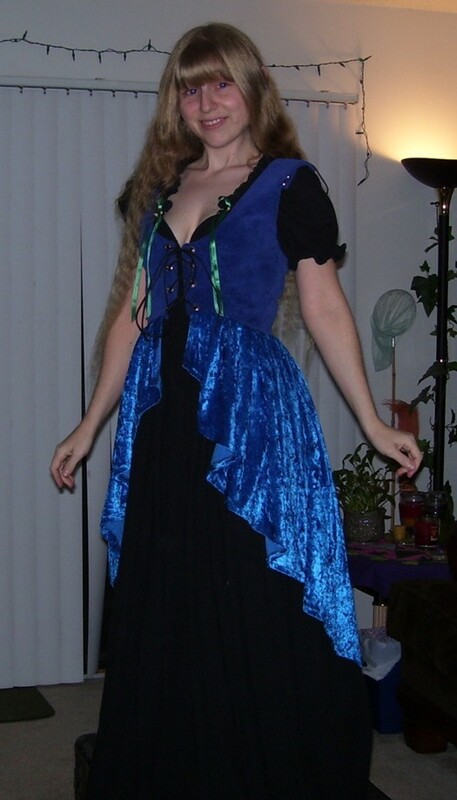 May 9, 2010.
newpiecefancy2.jpg: I'm wearing a new garment I bought at the Renaissance Faire. February 21, 2010. 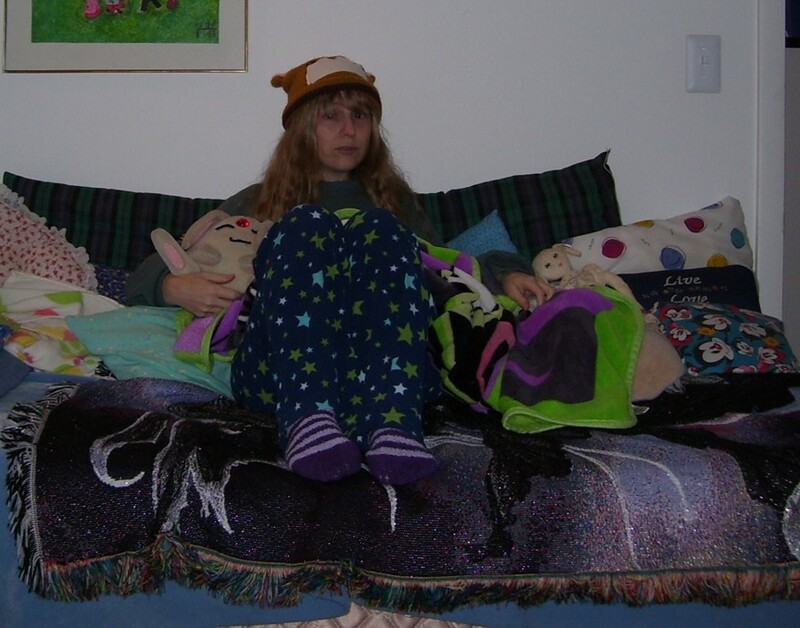 5am.jpg: Me in my star pants and bear hat at 5 AM. February 17, 2010.
burpday32.jpg: Happy birthday, me! 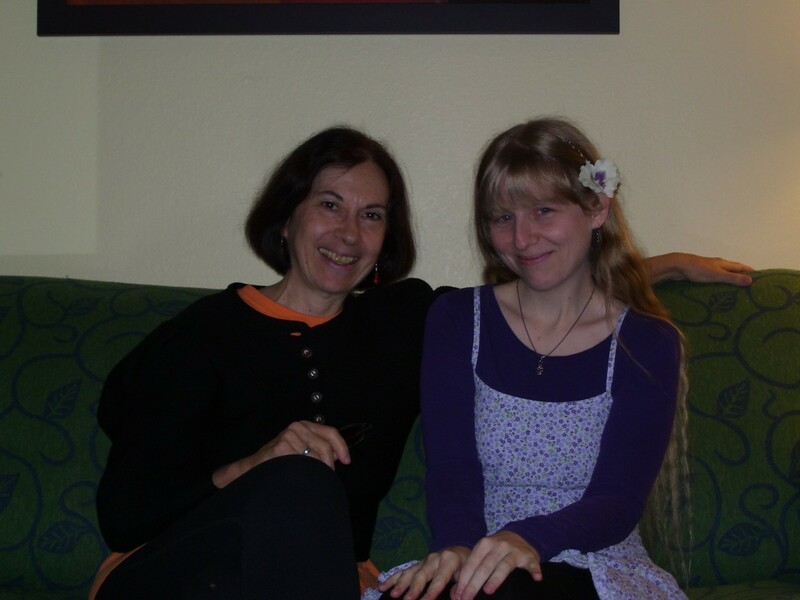 January 17, 2010.
elisame4.jpg: Me with my Aunt Elisa in a hotel, about to go enjoy brunch with Grandma. January 3, 2010.